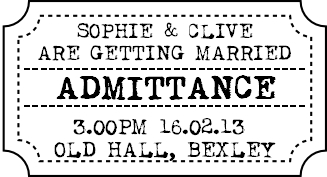 Personalise a Ticket Stamp for unique invitations to your special occasion. The stamped area is 5.50cm x 3cm. The tickets are easy to cut out by hand and can be stamped onto coloured or patterned card for different effects, or tinted with chalks or inks. If you have it made without the border, the stamp will fit the Tim Holtz ticket die. It doesn't have to be an invitation, you can have any text you like - pimp your ticket! Fill in your choice of text above, or feel free to email me. 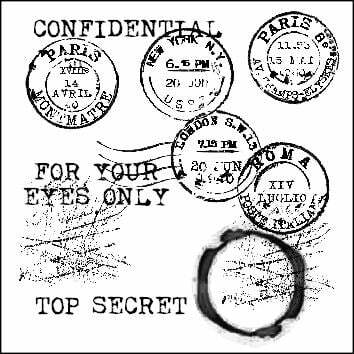 See all the Invitation stamps.